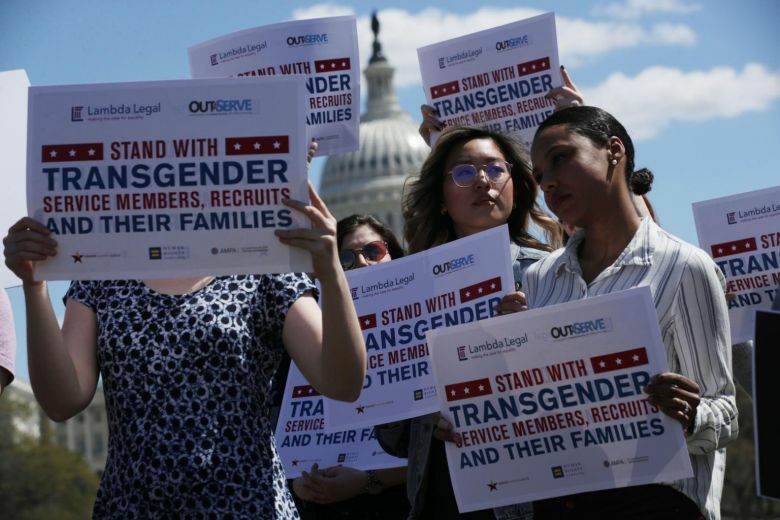 Straits Times: United States President Donald Trump’s controversial ban on transgender Americans in the military comes into force following a protracted legal battle. Mr Trump’s administration has insisted that there is “too great a risk to military effectiveness and lethality” to allow transgender people to serve – reversing a policy enacted under his predecessor Barack Obama. The Pentagon says the restrictions are not a blanket ban, but they would bar many if not most people who identify as transgender from enlisting in America’s armed forces. The policy – which has undergone various iterations since Mr Trump first announced it on Twitter in July 2017 – has been widely criticised by rights activists and has been repeatedly challenged in court. Under the latest version of Mr Trump’s policy, no one who has transitioned to another gender, been diagnosed with “gender dysphoria” or who requires hormone treatment will be able to enlist. For Mr Aaron Belkin, director of the Palm Centre, a research institute focusing on sexual minorities in the military, the policy amounts to a transgender ban. “When (the Department of Defence) disqualifies all applicants with a history of gender dysphoria (unless they renounce transgender identity for years) and all applicants who have ever received treatment for gender dysphoria, that is a ban,” he said. “(The policy) depends on directly banning the transgender people who are immediately identifiable and threatening the rest, forcing them to remain silent and invisible,” Mr Belkin said. “It is ‘don’t ask, don’t tell’ all over again,” he said, referring to the policy under which gay service members had to hide their sexual orientation or face dismissal from the military. “For those of us who are grandfathered in because we’ve already come out and we already have a diagnosis, there’s the possibility for systematic discrimination,” Ms King said. The new policy is “indefensible”, Ms Meghan McCain, daughter of the late senator John McCain, wrote on Twitter.